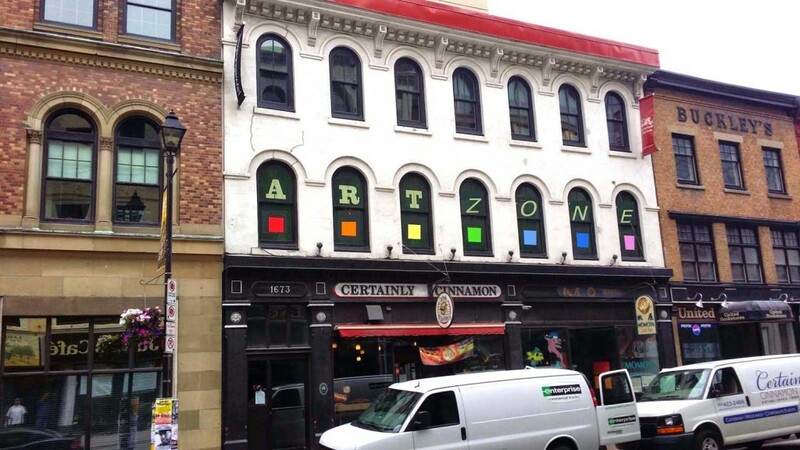 HALIFAX, Monday, June 22th, 2015 — Art Zone Gallery, located at 1673 Barrington Street, is pleased to launch its new website showcasing the works of emerging and established artists in Nova Scotia. Art lovers can go to www.artzoneweb.com to get all the latest gallery updates, read all about the gallery’s artists and exhibits, and even buy artwork online. The new website is a reflection of modern design, instilling fine art in every facet. Users can view each art piece from the gallery, as well as learning more about the artists and even purchase their work online. “It’s a celebration of our artists, and brings in new ways to put them in the spotlight,” says Ahmed. Art Zone Gallery’s new website was designed and built by WeUsThem, a local end-to-end agency with fine art as one of its strongest foundation. The new website launches today and can be found at www.artzoneweb.com. You can follow Art Zone Gallery on Twitter (@ArtZoneGallery) and Facebook (https://www.fb.com/ArtZoneGalleryHalifax). Art Zone Gallery is dedicated to showcasing the work of emerging and established local artists, as well as selected international artists. The untapped raw talent in the fine arts here in Nova Scotia and abroad needs a global stage, and here at Art Zone, we provide this opportunity to artists across mediums. We host a welcoming space for all artists to come in and showcase their work, and reward them for their creativity across our exhibitions, workshops, and featured spaces.